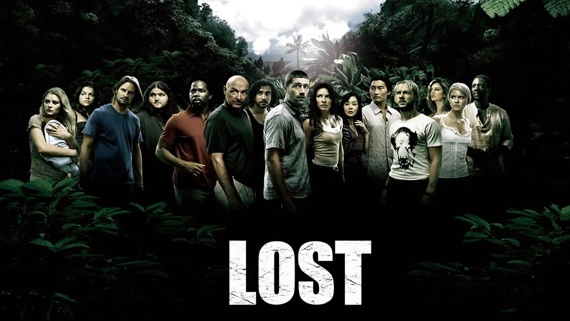 Lost Season 2: "The 23rd Psalm"
Eko. A man we didn't know much about until now, but was probably the most intriguing. If for no other reason than that he seems to know how to do what's right in each circumstance, his own interests not seeming to interfere at all. He seems the most constant out of anyone on the island, but we never really understand why. Now we do. He has one of the saddest stories I've seen of all the people on the island, someone forced to walk the sometimes fine line between wrong and right. For many it's cut and dry, but not for Eko. He chooses to take the place of his brother and become a child soldier so that Yemi would not have to kill a man. Though forced to sell drugs, he at least transports them out of his country so that his people will not use them. Though he has to cheat the system and use a church plane to fly drugs out, he gives the money from the drugs to the church for a polio vaccine. He is making the best of each situation, trying to bring as much good as he can out of each, sacrificing his own morality so that others can be free. But where should that line be drawn? Should Eko just have put his foot down at some point, becoming a martyr? Or is he doing more good, and will receive forgiveness, by doing what he can to redeem a broken system? Thankfully, though it comes at the cost of Yemi's life, his brother is able to give him a second chance. Though he didn't arrive there though honest means, he is free from his drug-running life and is given the chance to be a priest. A role he embraces, and I think we see the fruits of it on the island. No longer having to choose between evil and something less so, he is able to do good, in some ways making penitence for his past sins. Will the island play a role in this going forward? The smoke monster left him alone, but I'm curious if the island will make this process easier or harder for him as time progresses. At the very least, it reunited him with his brother's body. 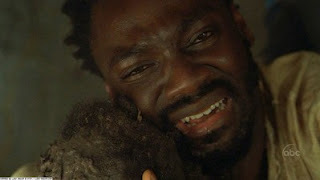 And the ending, where Eko and Charlie recite the 23rd Psalm is perhaps one of the most powerful episode closures so far in the series. I'm looking forward to delving a little farther into Eko's back story and seeing how another man of faith inspires the group!